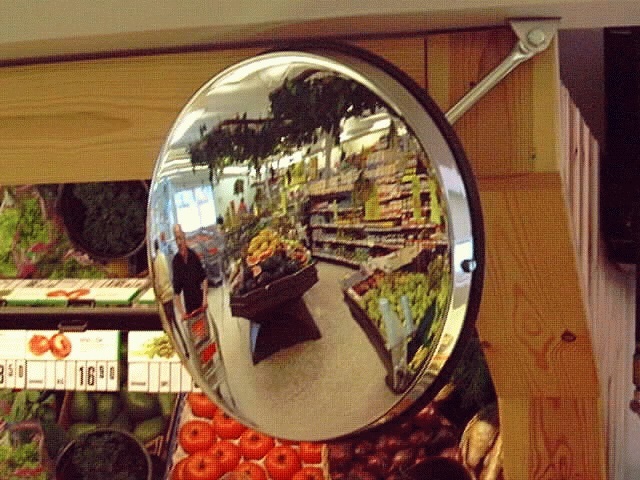 Hemisphere Mirrors have many applications. They not only help prevent theft, they are also an economical and decorative addition to the shop. The Hemisphere Mirrors are designed to give a good view over wide areas.The material is impact-resistant acrylic (AC) and their light weight makes them easy to mount. 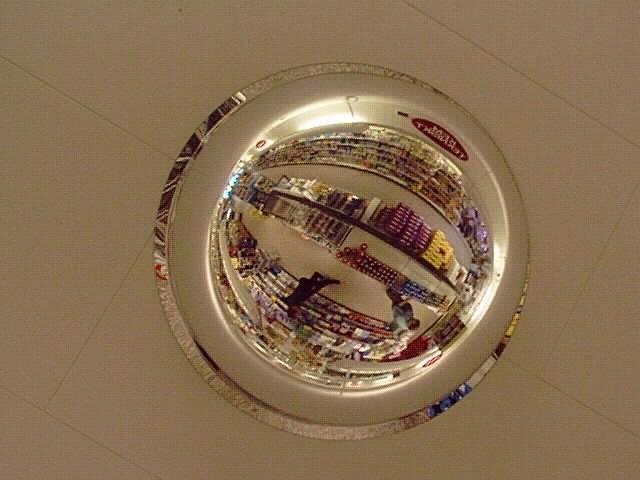 The mirrors are supplied as a 1/1-dome for mounting in the ceiling, ½-domes for wall mounting and ¼-domes for corners. Hemispheres can be supplied in sizes of 500 mm, 600 mm, 800 mm and 1000 mm. Subway Mirrors are designed to assist Local Authorities, Councils and other Public and Private bodies in protecting the public and increasing safety in crime and accident hot spots and offer up to a 180 degree viewing area. Pedestrians are particularly vulnerable when bends in the subway prevent "through vision" to the exit. 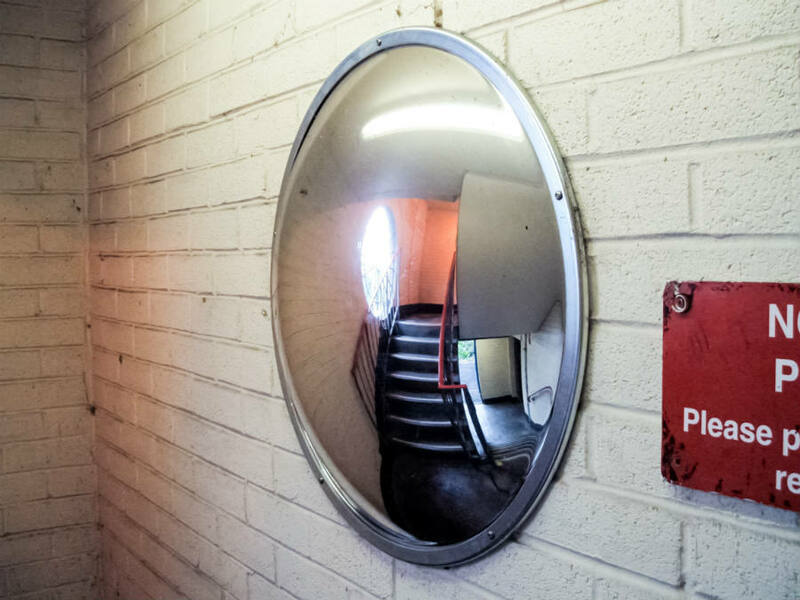 with its 180 degree vision the mirror allows pedestrians to see around corners in sub-ways and on staircases in car parks. 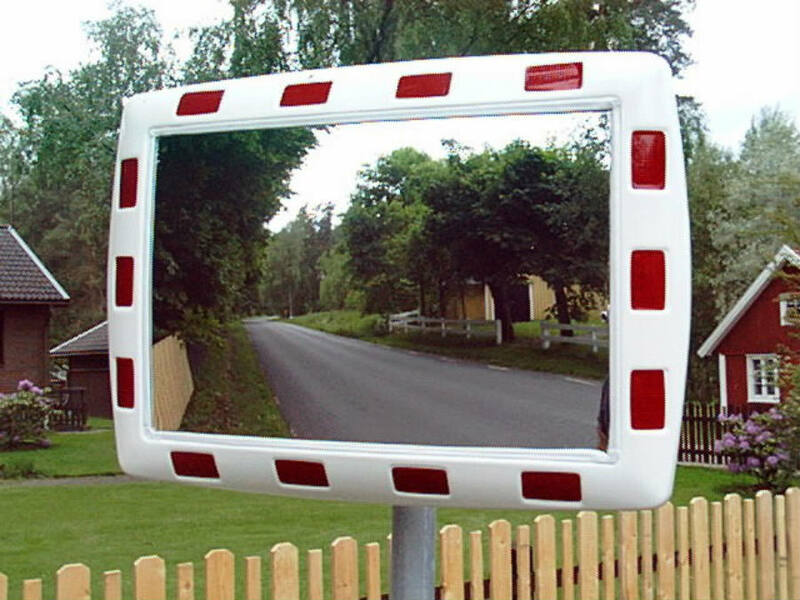 Traffic Mirrors can offer greater safety where vision is restricted - in built up areas, at the end of driveways and at crossroads. They offer greater visibility and therefore increased safety for the driver.